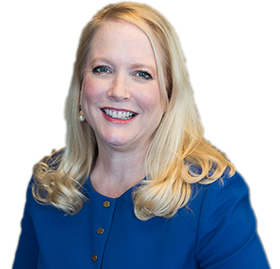 Kelly Sweeney Hite is the founder and managing partner of Hite Kaminsky Family Law & Mediation, PLLC (formerly the Law Offices of Kelly S. Hite, PLLC). She has practiced law in Virginia for almost 28 years and has practiced family law exclusively since 1994, handling all types of family law matters throughout Northern Virginia, including child custody, equitable distribution, spousal support, modification and enforcement issues, and settlement negotiations. In addition to her litigation practice, Ms. Hite is a trained mediator, having completed the required coursework through the Northern Virginia Mediation Service. She received her certification for Juvenile & Domestic Relations Court Mediation in 2014 and is in the process of meeting the final requirements to receive an additional certification for Family Mediation at the Circuit Court level. Ms. Hite previously utilized these same skills informally as a neutral case evaluator appointed by the Fairfax County Circuit Court and as a conciliator appointed by the Fairfax County Juvenile & Domestic Relations Court. She also has been trained in collaborative law since 2009. Ms. Hite currently serves on the Harry L. Carrico Professionalism Course Faculty, effective October 2016. She has also served on the Fairfax Bar Association Board of Directors, including as Secretary, as Co-Chair of the Fairfax Bar Association Juvenile & Domestic Relations Court Committee, as President of the Northern Virginia Chapter of the Virginia Women Attorneys Association, and as the Chair of the Family Law Section of the Virginia Trial Lawyers Association. She has also lectured on various topics for the Fairfax Bar Association and the Virginia State Bar. After moving from one Air Force base posting to another, her family settled in Northern Virginia, where Ms. Hite has lived since 1978. She received her B.A. in English/Political Science from Virginia Tech and her J.D. from the University of Richmond, T.C. Williams School of Law. Kelly Hite has completed the Family Mediation training through the Northern Virginia Mediation Service. She is certified by the Virginia Supreme Court to conduct Juvenile & Domestic Relations Court mediations and is currently in the process of finishing the requirements for certification at the Circuit Court level. She currently mediates family law matters and even prior to her training, has done so informally for years as a court appointed neutral case evaluator for Circuit Court cases and as a conciliator for Juvenile & Domestic Relations Court cases. *The Martindale-Hubbell Peer Review Ratings system is based upon the evaluations of lawyers by other members of the bar and the judiciary, in terms of both ethical standards and legal ability. An AV Preeminent Rating is the highest possible rating, and demonstrates that that lawyer's peers rank him or her at the highest level of professional excellence. **The Martindale-Hubbell Bar Register of Preeminent Women Lawyers is exclusive to women lawyers who have achieved the highest possible rating in both legal ability and ethical standards. ***Only 5% of the attorneys in Virginia are named in Super Lawyers.